This richly coloured memoir chronicles the exploits of a flamboyant Jewish family, from its bold arrival in cosmopolitan Alexandria to its defeated exodus three generations later. In elegant and witty prose, Andre Aciman introduces us to the marvellous eccentrics who shaped his life: the strutting daredevil, soldier, salesman, and spy; the two grandmothers, the Princess and the Saint, who gossip in six languages; and Aunt Flora, the German refugee who warns that Jews lose everything "at least twice in their lives." And through it all, we come to know a boy who, even as he longs for a wider world, does not want to be led, forever, out of Egypt. 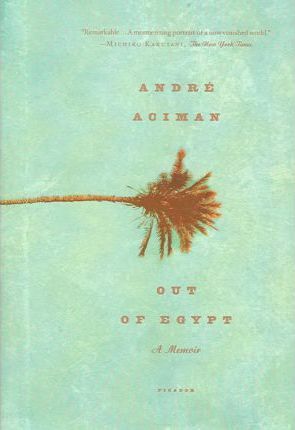 "It Is Mr. Aciman's great achievement that he has re-created a world gone forever now, and given us an ironical and affectionate portrait of those who were exiled from it." The New York Times Book Review"
Andr Aciman is the author of False Papers and Call Me by Your Name. He teaches comparative literature at the City University of New York Graduate Center and lives in Manhattan with his family.